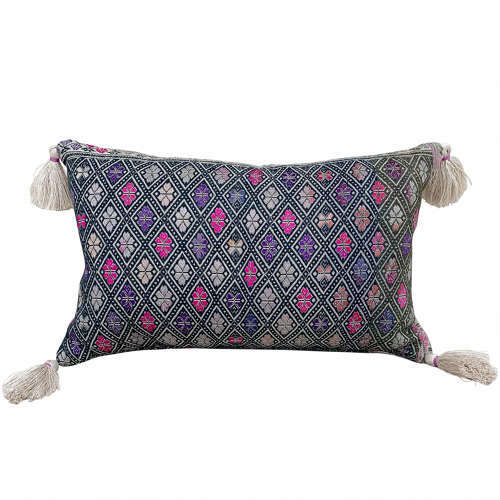 The greys, pinks and purple silks give these wedding blanket cushions a very chic look. They are backed with a natural grey coloured vintage hemp, have zip closure and feather pad. The corners are embellished with hand woven grey linen tassels. There are 2 available and they can be viewed in my studio in Purley by appointment or please ask for a delivery quote. Good shipping rate are available to the USA via USPS, and cushions can be shipped without pads if required.